How Do You Deal With Digital Transformation? 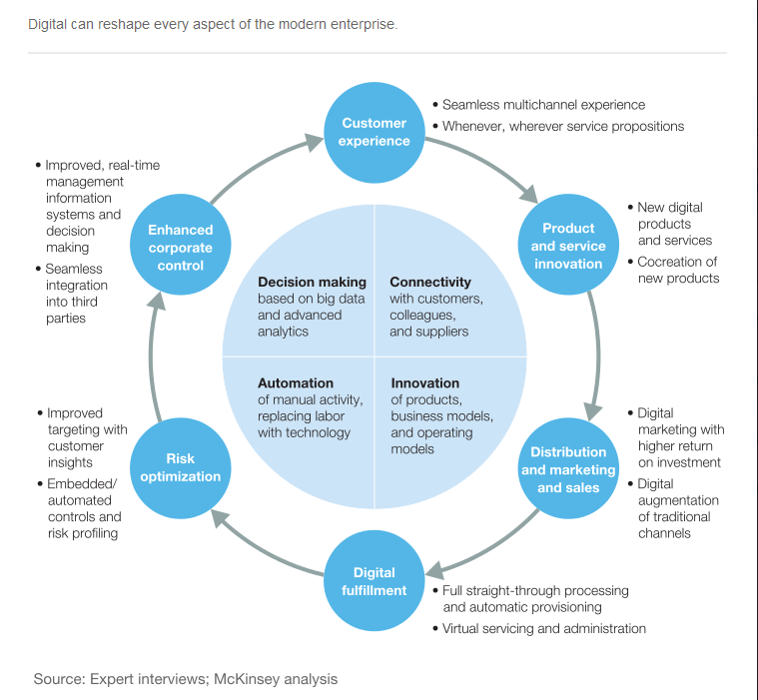 Are you exploring digital transformation? Even if you're not, your company certainly is. DT is going to hit us all, you can't bail out of this one. The only choice companies have is to either complain about the difficulties and challenges that this historic change will impose on them, or - to embrace the opportunitites! Whatever the decision looks like, innovation initiatives are fighting on the forefront of this transformation. 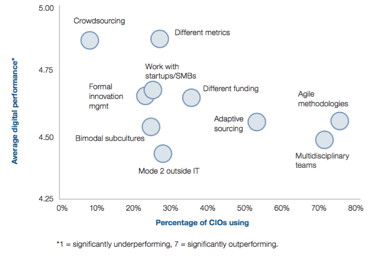 Thankfully, innovation managers can rely on plenty of research papers by leading analysts. Paul Hobcraft has worked through 140 reports from the last year or so, picked 14 of the best, and presented a deep dive on their findings. 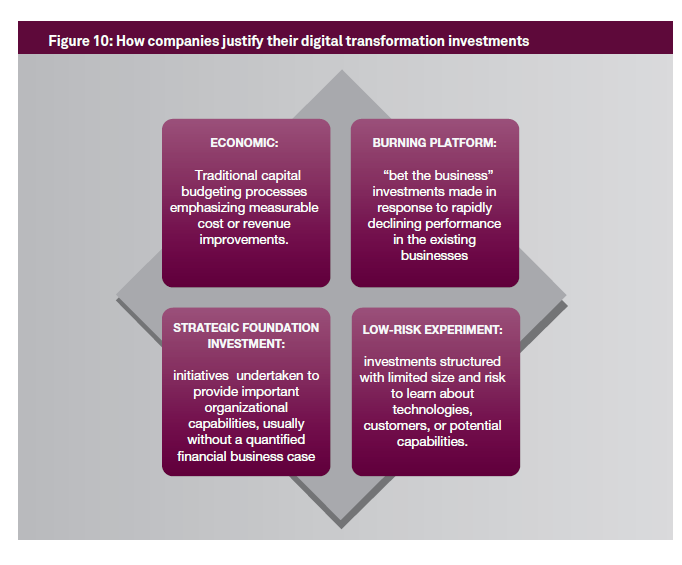 Why worry about Digital Transformation? There are plenty of reasons businesses should take DT seriously. 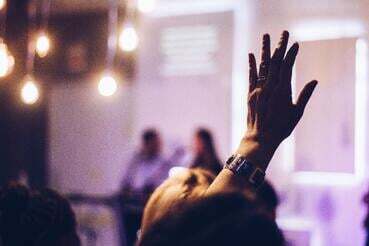 The one cited by most reports is the imperative to better understand your customer and offer them the best possible, seamless experience on their buying journey. Have you ever surfed the internet with your smartphone and ended up on a website that wasn't optimized for mobile? How annoying is that! Gosh, it's 2016! The point is: your customers and clients live in a digital world already, at least in their private life. Most of them carry a pocket computer called "smartphone" with them all day, every day. With the internet permanently at their fingertips, it was never easier to do research and gain access to expert evaluations and peer reviews. They know everything about your business and products, and how well you rank compared to the competition. And with mass phenomena like shopping on Amazon.com or working with cloud software, allowing instant access to everything everywhere, people have come to expect simplicity and convenience from the companies they do business with. If you are not part of that game, people will look elsewhere. Customer co-creation; admittedly, first you have to set up a platform and a process for that, and this means a challenge. BUT: you get the opportunity to build a client community around your products and services and turn customers into vibrant advocates of your brand! Measurability; digitalization makes it a lot easier to gather data from all phases of production and sales cycles. Just take GE as an example. As Jeff Immelt, CEO at GE, put it: “I took over an industrial company, now it will be known as an analytics company." Learn about the whole story in Capgemini's ebook. Airbus Defence and Space partnered with OneWeb, a company building a satellite network to provide broadband internet to the world. 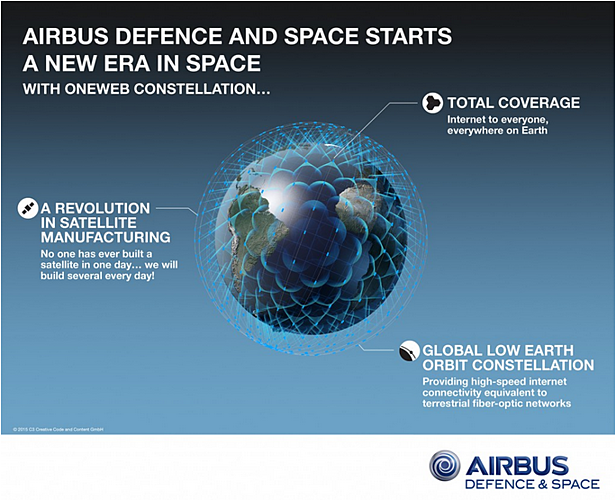 “Combining the innovation and large volume manufacturing techniques from its A350 aircraft production, with a rich history of building extremely reliable high performance space systems, Team Airbus will help us deliver the OneWeb system on time, providing reliable connectivity for our customers,” said Brian Holz, Head of Space Systems at OneWeb. Read the press release here. Disruption is real – nearly half of all business leaders (44%) think their existing business models will cease to exist within the next five years. It’s happening quickly – half of all organizations think that their industry will be disrupted within the next two years. Taking action is the only option – yet almost half (46%) of business decision makers think their senior leadership are unwilling to disrupt their existing businesses in order to grow and compete more in the future. Some initiatives can be justified in the traditional way, through quantified economic business cases. Audio and videoconferencing technologies, for example, can be justified on travel cost savings or other efficiencies, as could a financial firm’s move to a transformed office environment. Larger process transformations also can cite clear returns, such as when an apparel firm justified its move to digital design processes through cost savings and significantly shortened product development cycles. Firms facing a burning platform often make large changes without a strict financial business case. For example, a business directory service, realizing their paper-based model was declining rapidly, brought in a new CEO to lead a radical digital transformation. An airport authority invested heavily in digital transformation when governments stated that they would withdraw 60 percent of public funding within 5 years. Many companies considered their initial forays into Facebook or Twitter as simple experiments built with limited funding and risk to investigate the potential of the new media. Similarly, initial mobile apps or pilot experiments with mobile marketing have been scoped to limit cost and risk. These experiments are often funded “below the radar”, using the spending authority available to a senior executive. Other initiatives are funded as strategic foundation investments that build infrastructure and capabilities. These investments rarely go through the rigor of developing a quantified business case, but rather are undertaken as strategic bets. Collaboration tools and internal knowledge bases, for example, were often justified as relatively low cost/ low risk infrastructure investments to smooth cooperation and synergies among a distributed workforce. An example: a manufacturing firm invested in building a shared digital division to provide capabilities and support to digital initiatives across the firm. Each new digital initiative would be funded on its own merits, but the initial investment to set up the shared service was seen as a strategic foundation investment.